… And work for an innovative startup in the heart of Italy. Valeriy Palamarchuk is an Android developer from Ukraine, who currently works at WalletSaver in Milan thanks to the Italian Startup Visa. We caught up with him recently to find out what it’s like to move abroad, work in a multicultural startup team, and live in beautiful Italy! What made you decide to live and work in Milan? I’m a travel lover, so it was partially a strategic decision. I’m pretty sure that the best way to discover the country is to start living there, so I started my long traveling. Since I’m from Ukraine I had to get a visa for each new travel abroad and it could take weeks. After the move, I rediscovered traveling for myself and I feel ready for new adventures! I made this decision a year ago and it was spontaneous even for me. I remember that morning as if it were today. I had nice offers from England, Italy and Ukraine, so I was choosing between these three countries. As you see Milan and WalletSaver won. Italy is a great and beautiful country with nice people and perfect weather. I still can’t find a reason why not to choose it as a destination point. Italy has a strong bureaucracy and every process that should take several moments actually lasts forever. The main difficulty for me was to get the visa and “permesso di soggiorno.” The Ukrainian part of the process took 1 week, but the Italian part was not so easy. I was getting help from the Ministry of Economic Development and I should admit that the guys do a great job. They are professionals and supported my process as much as they could. Everything was new: culture, language, people, work, environment, food (food was the nicest change). I had one month before the move. First of all, I said goodbye to my closest friends and family, then I started to book tickets and look for a place to stay in Milan. Then I checked the legal part to understand the main points of getting a job in Italy. Since it was my first experience of working abroad I didn’t know much about the process, so I had to discover everything by myself and believe me it’s a lot of work. The first period of time after arriving was really hard. Everything was new: culture, language, people, work, environment, food (food was the nicest change). Firstly, this is a new way of communication. Everybody uses a non-native language to explain thoughts and ideas. I was facing new cultures, new languages, new ways to do business and this is an amazing experience. Secondly, this is a huge benefit for the team. By hiring people inside a country, the company can get the best professionals in the area. By hiring worldwide you’re getting the best world specialists. Finally, by hiring the best of the best you can trust your teammate completely, knowing that he is really professional in what he does and this is a very important asset for the young startup. Did you notice any differences between work culture in Ukraine vs Italy? I can’t speak about all Italian companies but I can describe an experience of doing business with some of them. You start with several meetings, then a friendly dinner and a quick talk about business after. In general, the companies were more relaxed in terms of work and it makes the process a bit slow. Despite this, most times I was satisfied with the result. How has living abroad benefited your career and personal growth? I’ve never been that person who makes emotional decisions without a rational part, so I analyzed pros and cons of moving abroad from the very beginning. A multicultural team teaches you how to respect different points of view, thoughts, and decisions of other people. Life abroad opened for me a new world of traveling, startup experience, new cultures, languages, and people. It gives a fresh breath to your daily life and changes your mindset. Undoubtedly, it made me grow as a person and experience new sides of the world. Working in an international team brings huge changes. After a year in the multicultural team, I improved my English a lot. I even started to think in the foreign language. I have stopped feeling the border between the languages. A multicultural team teaches you how to respect different points of view, thoughts, and decisions of other people. It gives me a wider angle of thinking and makes me take a step outside of my comfort zone. 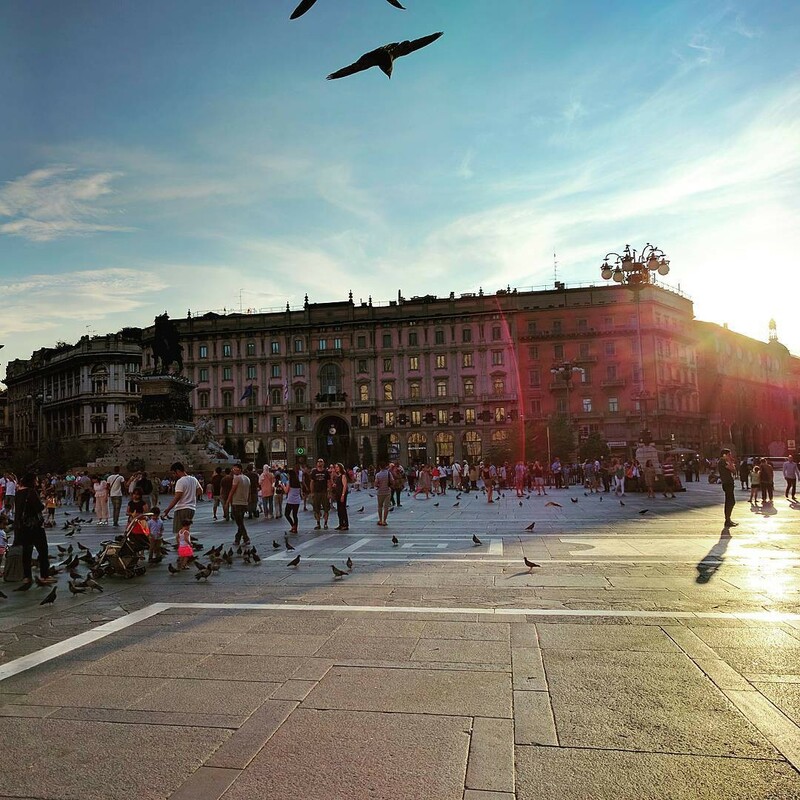 What is your favorite thing about living in Milan? The people here are really friendly and full of life. Milan is a perfect example of the Mediterranean climate and I really enjoy it. Winter here is very soft (Ukrainian winters are -20ºC) and the summer is not crazily hot. The city is beautiful, ancient and full of young people. In general, Italy is super beautiful as a country. Even if you take one step outside the city you can discover a huge amount of beautiful places. Traveling in Italy is amazing! What is the hardest thing about living in Milan? Of course, it socialization. As with any relocation, you will have a completely new environment. You will start to feel the language and cultural barrier. Consequently, it creates a communication wall. If you never tried to explain your thoughts or convince people using a non-native language, then you would never understand me. I honestly think that Jobbatical does its job pretty well. The team has good responsiveness, it’s professional and I truly believe it’s one of the best platforms for relocation. A lot of startups use Jobbatical as a hiring platform and you can feel a personalized approach making sure that your CV would not die among others. The tables on this website are created with Div Table website. Please subscribe for an online HTML editor membership to stop adding promotional messages to the documents.